I made these. Just kidding. Not that you were fooled for a second. 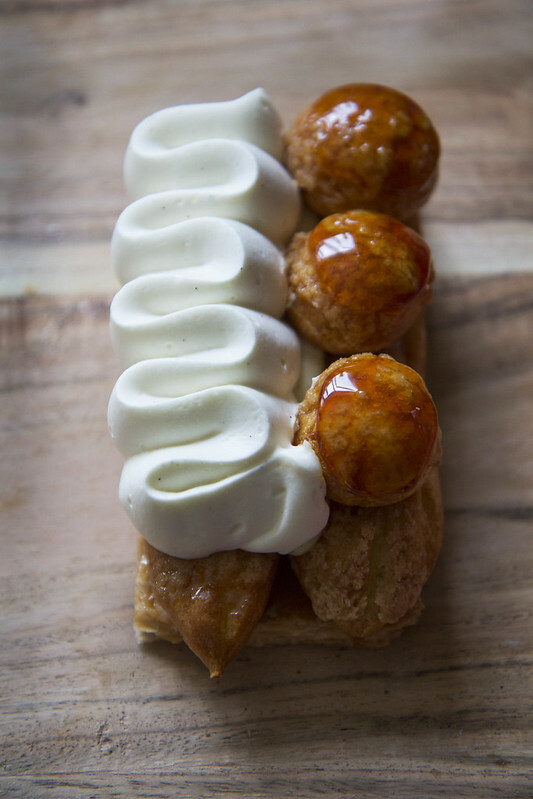 I just photographed the heck out of these decadent pastries and then demolished them with the help of 3 others. I made a mad dash in between appointments to the much lauded La Pâtisserie des Rêves while I was in London (literal English translation - Patisserie of Dreams). 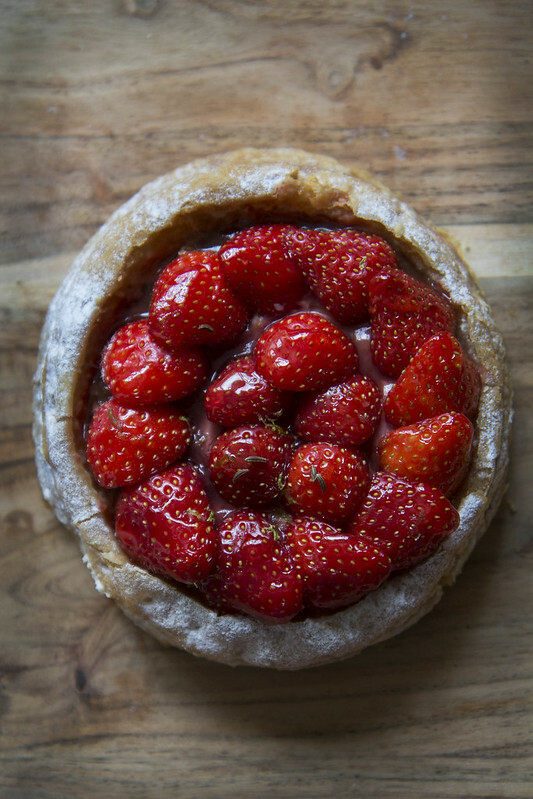 It's owned by the revered pâtissier, Philippe Conticini. I've gushed about the place previously after my initial visit, thanks to a tip off by my foodie friend, Lois but they needed another mention. I'm just thankful that more and more French boutique patisseries are making their way across the channel which means I no longer have to make the trek to Paris and binge as if the world's on the verge of pastry Armageddon (hypocritical comment seeing that I just came back from a binge fest in Paris). 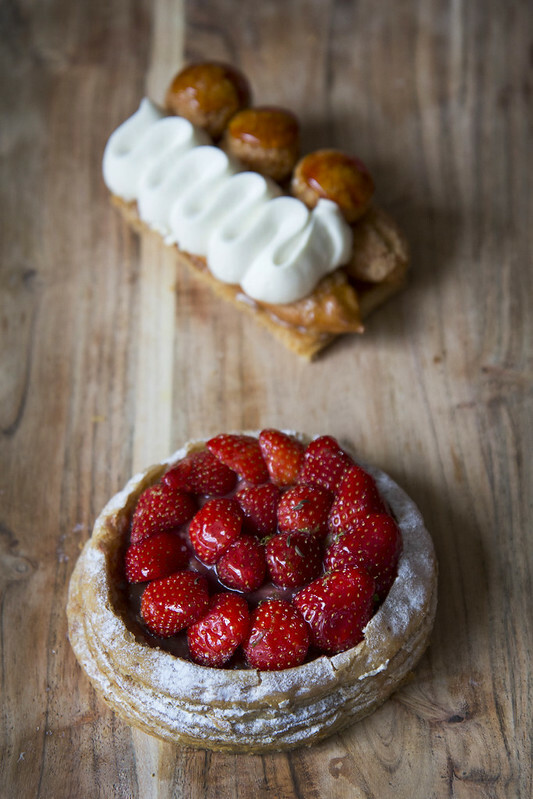 After a rather exciting discussion with the ladies at the Pâtisserie about which delectable pastry I should buy, I walked away with the strawberry tart and Saint-Honoré. Clearly, I have to go there. My waistline won't thank me. 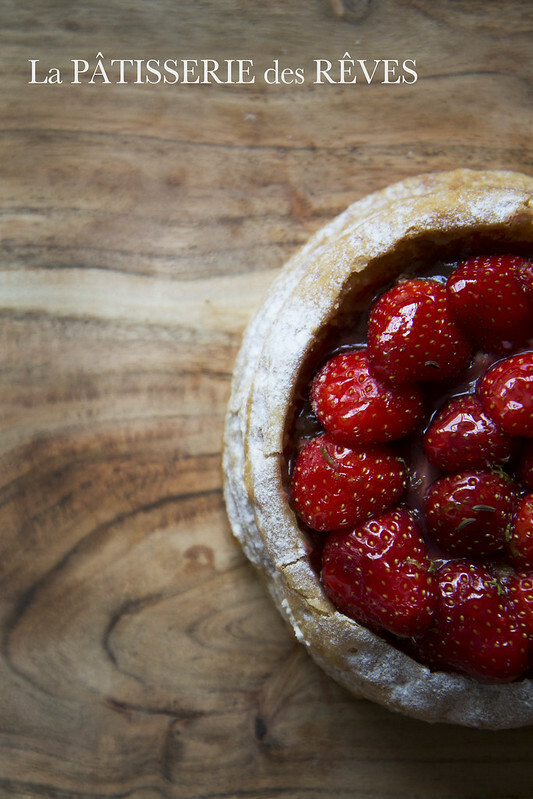 I think they're regular strawberries or else I'll be paying £15 a slice!